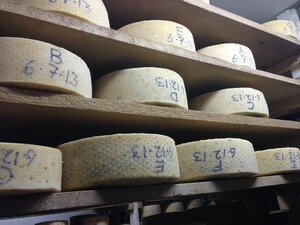 Banning wooden boards for aging cheese? The Accidental Locavore is outraged and you should be too! In an amazing use of its legislative powers, the FDA has ruled that wooden boards are not approved for use in cheese aging operations, declaring that “the use of wooden shelves, rough or otherwise, for cheese ripening does not conform to current Good Manufacturing Practices”. 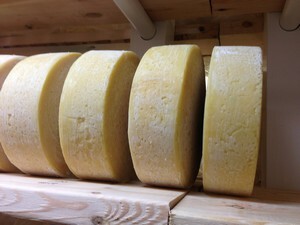 Have you ever known anyone to get sick from eating cheese that was aged on a wooden board? Besides the fact that most people don’t even eat the rinds, you would be hard-pressed to find anyone who has gotten sick from an aged cheese. However _______ (fill in the blank with whatever food, or drug-related atrocity) has gone unchecked. Do you think it’s because the FDA doesn’t want to mess with Big Agra or Big Pharma? Much easier to pick on the little guys. If you’re not particularly attached to American cheeses, don’t think this won’t affect you. Theoretically, if they wanted to ruin not only our artisanal cheese makers, but those world-wide, they could stop any imported cheeses that were aged on boards from coming into the country. Say ciao Parmesan, cheerio cheddar and adios Manchego, as almost every aged European cheese is, and has been for centuries, aged on wooden planks. The thing is, wood is sustainable, breathes and may or may not add to the taste of the cheese. Cheese aged on plastic or metal shelving just doesn’t taste the same (unwrap a slice of American cheese if you don’t believe me). 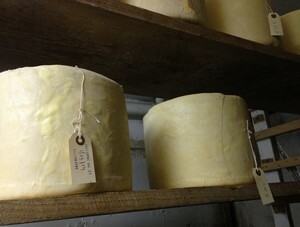 And not to be paranoid, but if cheese can’t be aged on wood, will the oak barrels used for wine be next? And I thought the EU came up with some nutty directives! How absurd! There are so many other food related issues that could take up the FDA’s time… say, the insane amounts of sugar and processed foods being consumed in this country. To take on a centuries old practice that has not produced any kind of illness, even on incidental scale, is ludicrous. What are they doing about the increasing incidents of beef recalls that include meat that was shipped in to Whole Foods? Come on!